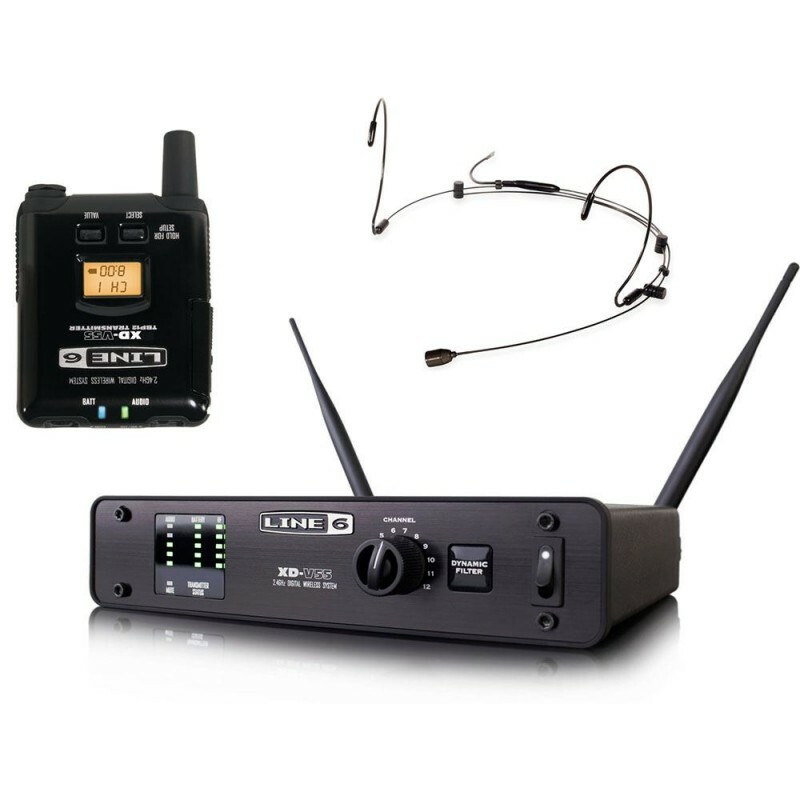 Line 6 XDV55HS Digital Headset Wireless Microphone System sets a new standard in hands-free wireless with unmatched reliability, ease of use and superior audio quality. With 12 channels of 24-bit, 10 Hz - 20 kHz, compander-free performance, the XD-V55HS provides full-range audio clarity and license-free operation worldwide. Exclusive and innovative digital technologies work together to deliver confident, great sounding performances. Audiocore WH-6420U (2 Mikrofon Genggam Wireless UHF Kualitas Tinggi)Overview:Jangkauan frekuensi UHF yang luas: 500~900 MHz64 pilihan frekuensi untuk setiap channelKontrol mikro prosessor dan teknologi sintesis frekuensi PLLPenyaring suara dengan sistem anti-interferensi kualitas tinggiLayar LCD unt..
Sennheiser XSW-65 A Wireless VocalThe XSW 65-A Vocal Set features a handheld wireless condenser mic transmitter with a supercardioid capsule, capable of 2.4 GHz synchronization between the transmitter and receiver, and 10mW of output, so you will be able to perform from a range of up to 250 feet in ..
Shure SVX14/CVL Wireless Presenter SystemThis pack includes the SVX4 Diversity Receiver, and SVX1 Bodypack Transmitter with CVL Centraverse Lavalier Condenser Microphone. The SVX4 Diversity Receiver is a single channel receiver for use with Shure SVX Wireless systems. The SVX1 Bodypack Transmit..
Audiocore WCM-3280U Wireless (8 Mic UHF PLL up to 256 Mic)Audiocore WCM-3280U is a conference system with 8 PLL UHF Microphones suitable for high-end meeting requirements.Features :UHF international standard frequency range without interference, The WCM-3280U has a broad UHF frequency range of 500 M..
Sennheiser EW D1-835S Wireless MicrophoneEvolution wireless D1 Vocal-Set with the legendary evolution e835 cardioid capsule and mute-switch for live stage use.Evolution wireless D1 is a digital sound transmission system that makes no compromises when it comes down to reliability, sound quality or us..